Sony has followed in Microsoft's footsteps, today announcing a new PlayStation 4 model that comes with a 1 TB hard drive, giving gamers twice the in-built storage capacity of the existing 500 GB model. While this new model is mostly about the increased storage space, Sony also states that this new console is 10 percent lighter than the 500 GB variant, and consumes eight percent less power during operation. The hard drive cover is also now matte rather than shiny, giving the system "a more casual look". At this stage it's not clear if the weight, power consumption and matte finish improvements will also come to the 500 GB model, although some rumors have suggested this will be the case. 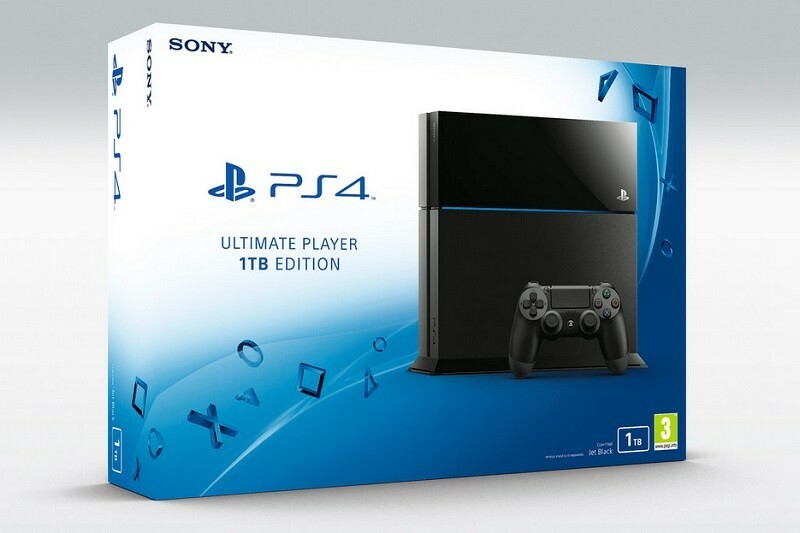 There is currently no word on how much the 1 TB PlayStation 4 will cost, with Sony saying that pricing information will be provided through local retailers. The current 500 GB PlayStation 4 model retails for $399 in the Untied States, so unless there's a surprise price drop, expect the new model to cost a little bit more. Sony has revealed that the console will go on sale before the end of this month in Japan, on July 15th in Europe, and sometime in July for North Americans. It will be available in both jet black and glacier white.